Really looking forward to finally seeing the Stein animated. New trailer from...something just saw it on a third party upload. 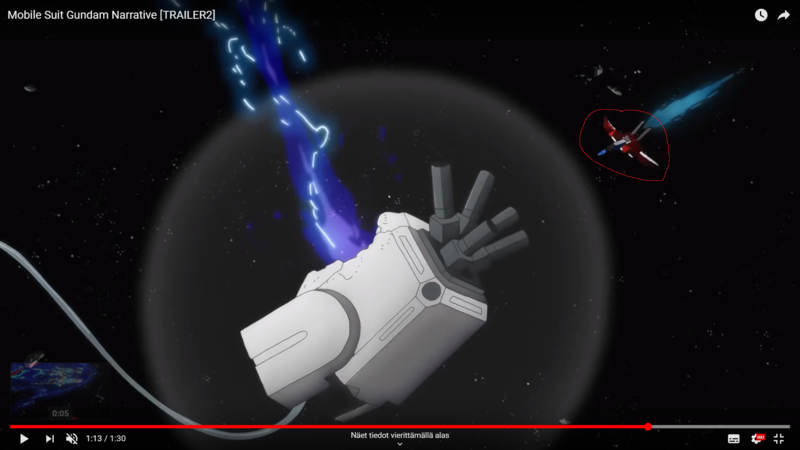 Between Mineva being prevalent in several trailers, recent novel spoilers, and just a gut feeling, I wonder if that Custom silver bullet with the beam magnum is Banahgers. Those eyes look pretty bad guy esque. Also something interesting I spotted. That core fighter, color scheme is from the Original 78s core fighter, but the shape is more akin to GP series, but not exactly. Perhaps this is the Narratives core fighter? Well I can see a "New" Narrative version of the NEO-ZEONG. I already have the Unicorn version not going to get another. But I like the colors they have it in for this show. 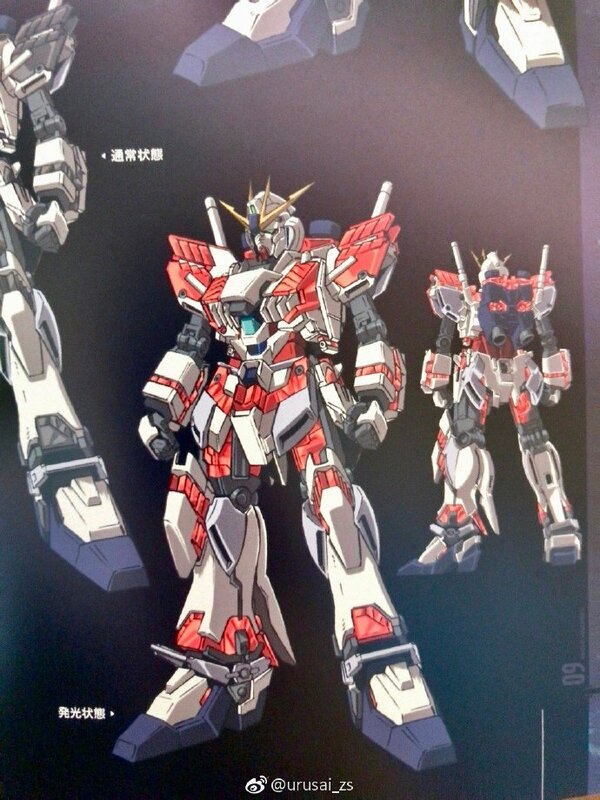 Have you noticed it looks like there is NO suit in the NEO ZEONG!!?? Who is driving it? And how is it moving without a suit in it to power it and run it? Weird. Sorry for the small pictures but that is how it loads off the work computer. Here is the cockpit blown up. Yes it is a bit Fuzzy I copied right off the YouTube video. But you can clearly see that there is NO suit in the spot that the Sinanju should be. Yes, I think that might be the Narrative's core fighter. 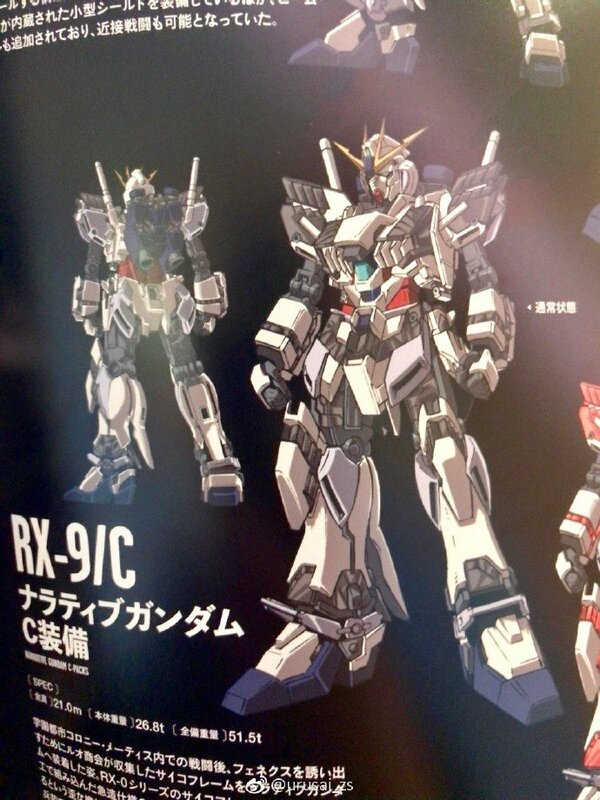 Looking again at the HGUC kit of the Narrative, it does look like it has a core fighter in it's chest. Reminds me of a bunch of F90 fan designs for all the the packs corresponding to the letters of the alphebet I found, U was a unicorn themed one lol. Hmm... not bad actually. Narrative is certainly intriguing to say the least. Hope they produce a dub for this film. The trailer looks good, seems like they've done pretty well in weaving the anthology stories together into one flowing... Narrative. 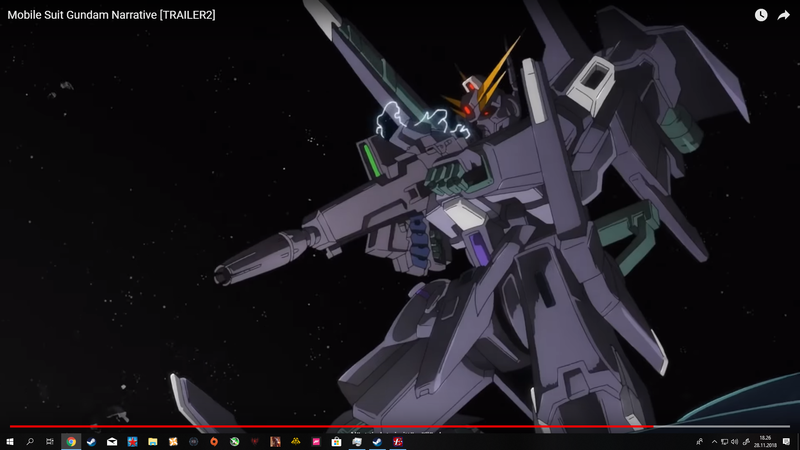 I have to say the Narrative itself has grown on me a little, well mostly the A-pack and seeing it in motion, plus it's specialized goal, plus I feel it's better than more recent attempts at a denoborium/METEOR like unit, IE that thing that the tristan used in Twilight axis. as for the everything else I'll reserve final judgement for the whole thing, but there are aspects I'm not really fond of Narratively (BADUMTISH) IE the time traveling abilities but this was a box opened by unicorn and this just seems to be answering them, though one like me, could have waved Unicorn's weirdness to other things and the scene where FF and Banahger travel though time as a newtype acid trip but alas my head is out of that and it's not like I'm adverse to newtype fuckery my favorite series pioneered some of the staples of it. I do guess Beyond the time is a bit more literal now though. Aside from that it seems good enough for a watch but I doubt I'll love it. Lmao. Hadn't thought of that. Well after watching the first episode it kind of makes sense that it would follow in the Unicorn footsteps. The Gundam 03 Phenex is a big part of it, and they talked about the Unicorn a hell of a lot. Granted they did say that it (the Unicorn) was dismantled under the watchful eyes of inspectors. But they still have the Unicorn specs so they could build off of that. And the show picks up right after the Unicorn series. But I do like how they keep referring to them as the Gundam Brothers. The phenex is the lost 3rd Gundam Brother.